When you find yourself in a bind and need important documents notarised, it can become unbearably difficult to carry the added burden of heavy financial stress. Charles Reichman believes in offering the most reasonable prices to the people in need of his services. His extensive list of valued and satisfied clients has come as a result of his unwavering dedication to helping people with very affordable, professional services. Many of Charles’ clients have found that his fees are the most reasonable of any public notary in Melbourne and his prompt, professional service means that you won’t be left waiting around until the last minute for important documents. Charles runs extended hours for clients, and is available to attend business offices for the invaluable convenience of business owners and executives. He provides cost break-downs, and for his Apostille services, he only charges the price of covering department costs and postage. When you choose Charles Reichman, you’re choosing affordability, convenience and unfaltering dedication. What Makes Our Notary Costs So Reasonable? Charles Reichman charges a base rate of $88.00 per document. He does not charge extra fees for obtaining Apostille Stamps from the Department of Foreign Affairs (excluding the cost of the Department). Charles Reichman’s name has become synonymous with unparalleled professionalism, expertise and experience. His clients consistently state that his prices are the most reasonable of any public notary in Melbourne. 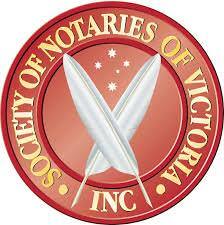 For a full breakdown of basic notary costs see those outlined by the Society of Notaries of Victoria. Make certain you choose the most efficient service. Don’t worry when it comes to notary costs, contact Charles Reichman today and get the best service for an affordable price.